This flexible design, currently in the prototype stages of development is ideal for many applications. 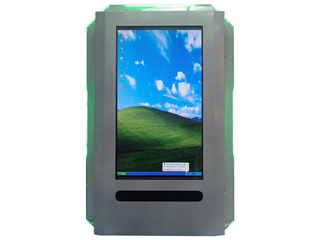 Available with a large portrait touch screen, and transactional point of sale options. Based on our standard proven technology, this new design brings a large screen fitted in potrait mode, to allow greater flexibility. It is also available with point of sale and transactional options such as chip and pin readers.